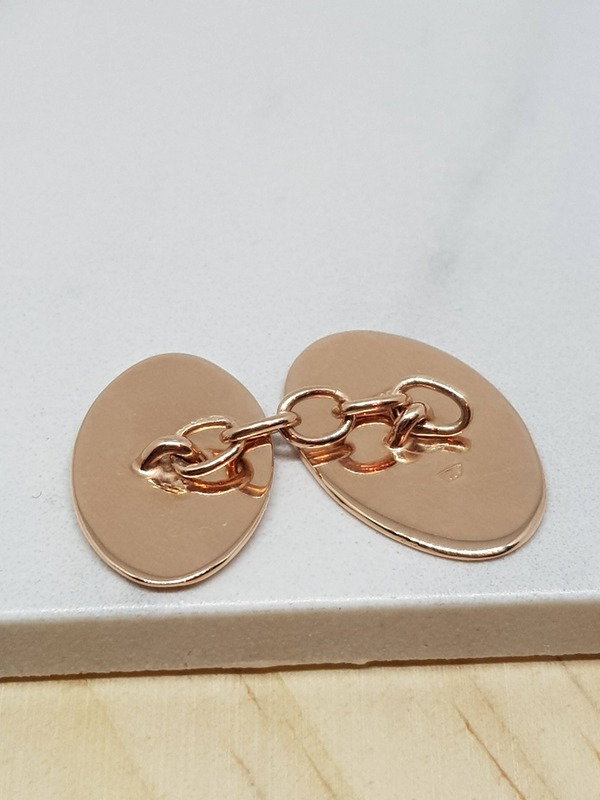 A classic pair of sterling silver cufflinks with rose gold plating. 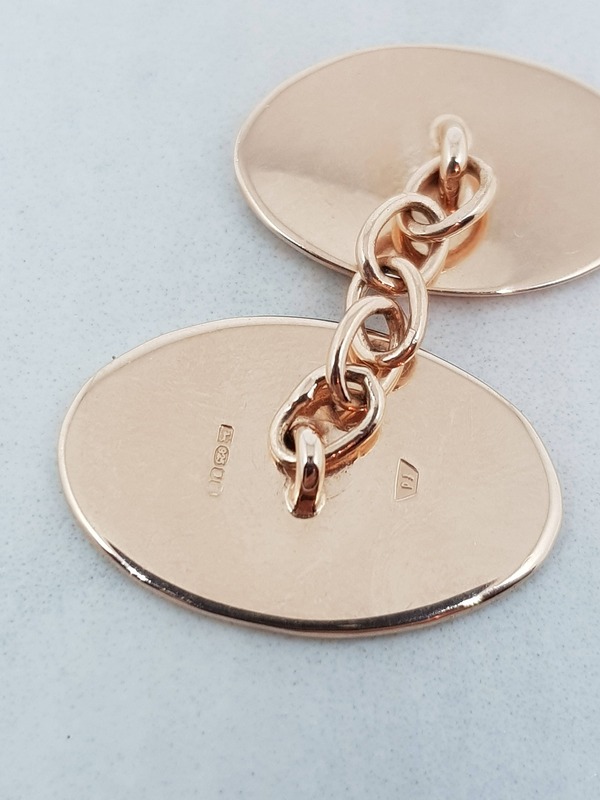 The cufflinks are made up of two oval plates linked by a chain. 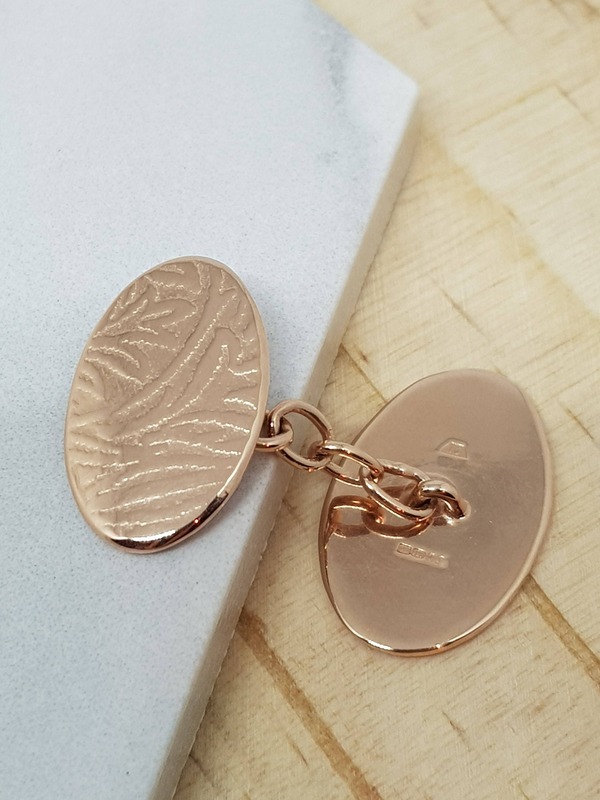 The front plate of the cufflinks which is visible on the cuff is embossed with a William Morris design. The back plate is slightly larger and is plain. 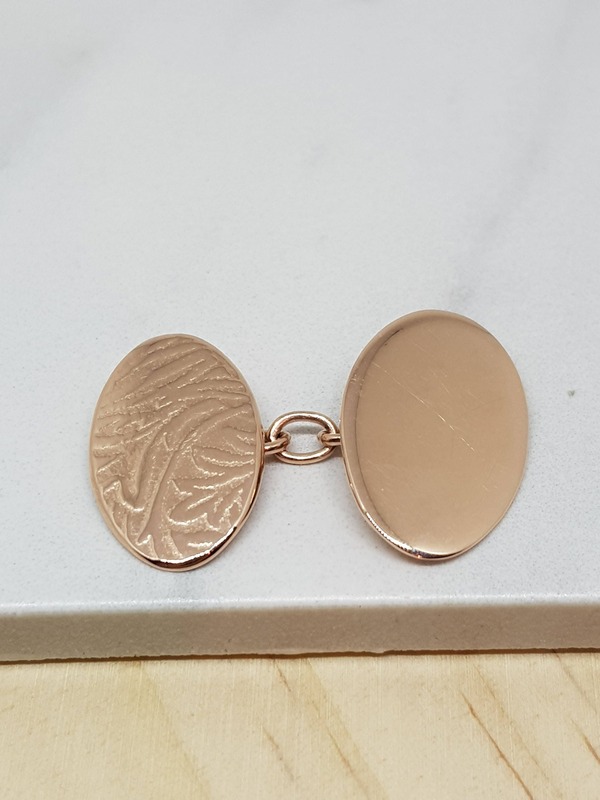 The rose gold plating is professionally applied by Elliot Fitzpatrick in London.